Israel is recognised as a world leader in research and development. eolas explores why. Disadvantaged by its small size, Israel’s scientific and technological policies are aimed at enhancing its competitive position. It has the highest R&D intensity in the world with gross domestic expenditure on R&D as a percentage of GDP at 4.7 per cent compared to 2.7 per cent in the United States and 2.01 in Europe. Private sector spend as a percentage of its GDP is 3.39 per cent compared to 2.01 and 1.25 in the US and Europe. However, since 2007 there has been a low average annual growth rate of public R&D expenditure as a percentage of GDP. For example, the country experienced a 2.3 per cent nominal change in public expenditure on R&D between 2008 and 2009 compared to 26.2 per cent in Turkey. Business has a prominent role in funding Israeli R&D (it funded 73.4 per cent of the country’s R&D spend in 2006, according to the OECD). However, the 2011 Innovation Union Competitiveness report states that R&D expenditure in the business sector decreased by 4.3 per cent between 2007 and 2009. The Manufacturers Association of Israel and the Federation of Israeli Economic Organisations discuss policy-making on the National Council for Research and Development (consisting of public, private and academic representatives.) Due to their close proximity, informal direct contact between the public and private sectors is also common. 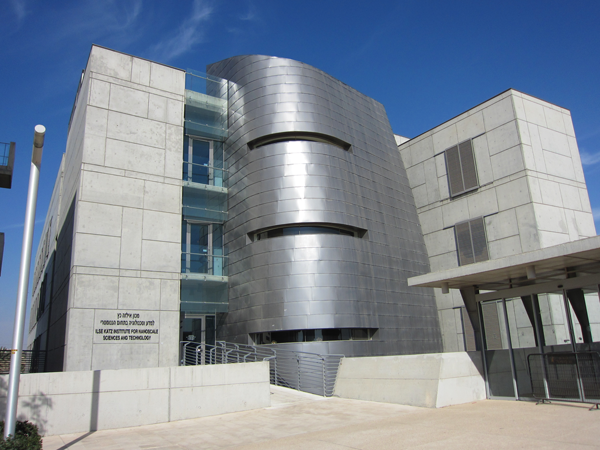 Israel’s universities have a strong reputation for technological advancement and all ministries employ chief scientists. Within government, this work includes the Ministry of Immigrant Absorption’s Centre for Absorption in Science which helps immigrant scientists find work in institutions of higher education, research institutes, colleges or in the business sector. Since its formation in 1948, the influx of immigrants, particularly from the former Soviet Union in the early 1990s, has increased the percentage of qualified personnel in the country. The lack of natural resources has resulted in research policies being geared towards alternatives for raw materials and exporting scientific knowledge. The threat of attack from Iran and Palestinians is cited as reasons for its military research. While Iran poses a real threat, the conflict with Palestine is unbalanced due to Israel’s far superior military capability and continual US aid. Israeli scientists have received four Nobel prizes; three for chemistry (Dan Shectman 2011, Ada Yonath 2009 and Aaron Ciechanover 2004) and one for economics (Daniel Kahneman 2002). Israel has also participated in building the ATLAS detector for the Large Hadron Collider at CERN. It has invented devices such as the ‘pillcam’, which allows physicians to examine a patient’s gastrointestinal tract with a swallowable camera, and is a leader on military drone technology. Other R&D strengths include the scientific breeding of cows to produce more milk, computerised irrigation systems and soil solarisation, i.e. the decontamination of soil using solar power. Israel hosts eight universities and its research institutes include the Ministry of Agriculture’s Agricultural Research Organisation and the Israeli Association for Artificial Intelligence. Israel’s R&D capabilities are also measured through its production of patents which far outstrips its EU and US counterparts. The number of scientific publications within the 10 per cent most cited publications worldwide stands at 12.9 per cent, compared to 11.6 per cent in the EU and 15.3 per cent in the US. The Innovation Union Competitiveness Report states that Israel is well integrated into the European Research Area (with five universities accessing €224.1 million to date in FP7 funds). Its main scientific partners are the United Kingdom, Germany, France and Italy.